A sports degree for personal and professional growth. A sports management doctoral degree for professionals driven to lead. The Academy’s Doctor of Education degree in Sports Management is a one-of-a kind sports degree program specifically designed to meet the needs of recent master’s degree earners and working professionals who aim to be leaders in the sports industry.  The program provides students with a meaningful education and technical preparation for the fast-paced, competitive world of sport professions. The kind of attention you should expect when you attend the Academy. This covers the complete cost of your course, including textbooks and proctoring fees. Our sports doctoral degree meets the highest standards. The Academy is a member of the National Council for Accreditation of Coaching Education (NCACE), which promotes and facilitates coaching competence; oversees and evaluates the quality of coaching education programs; and accredits coaching education programs that meet its comprehensive standards. A sports management education for tomorrow’s leaders. The Academy’s Doctor of Education (Ed.D) in Sports Management degree is a 66-semester hour program designed to prepare students to perform with a high degree of efficiency and proficiency in the sports industry. There are three areas of specialization offered as part of the Ed.D. including Leadership, Marketing, or Human Resource Management. Join a network of sports degree holders United by Sport. Students applying for the Academy’s doctoral degree program must submit all previous official transcripts and have successfully finished an graduate degree program. Students must also prepare a written personal statement with an autobiography, career plans and expected goals for pursuing a master’s degree from the Academy and submit three recommendations. The Academy doctoral mentorship experience gets students away from the books and computer and into the office, onto the field or court, analyzing video, crunching statistics, managing facilities, promoting events and any number of activities. The mentorship provides the student with actual, in-the-field training within the profession of sport. You’ll build your professional network while gaining real world experience.